For only a couple of days, I have returned. And it still feels like home. Many of the names and faces here have changed. But this city remains the same! Great food. Awesome music! And plenty of work to be done. New Orleans Baptist Theological Seminary was planted in this city decades ago because of the mission-rich environment in the Big Easy. And to make a long story short, God moved me and my little family here from Upstate SC 25 years ago. In SC, we take steeples for granted. There seems to be one on almost every church in every corner. This is not the case in New Orleans. There aren’t many churches and even fewer steeples. 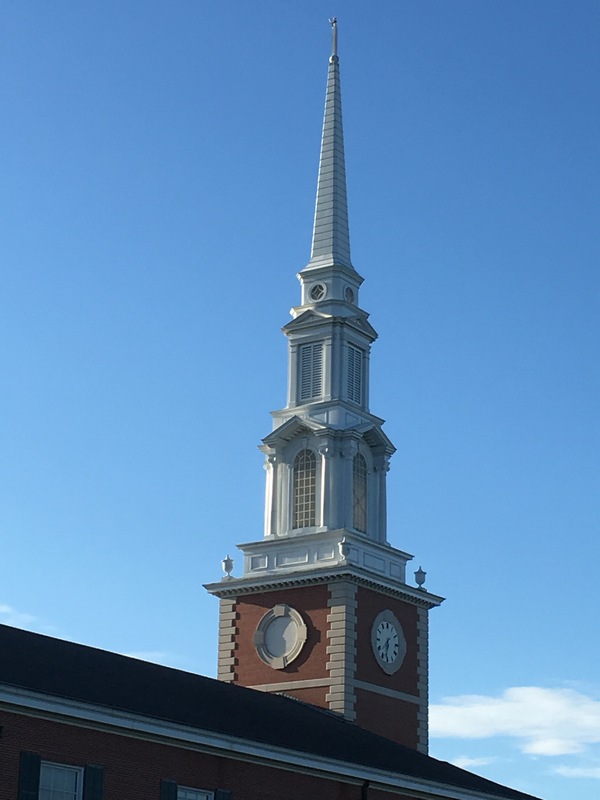 And when this country boy moved over 600 miles from family and friends into the huge, unforgiving city, the sight of this steeple would make my heart skip a beat. When I saw this steeple, I was reminded that God is active in this city. And safety…. and home… was just under the shadow of that steeple. Yesterday when I drove back onto this campus for the first time in 11 years, my heart skipped a beat. Because in the heart of this great city, home is still there. That steeple still proudly rises above Gentilly Boulevard. I am a proud graduate of the New Orleans Baptist Theological Seminary. All of my professors taught and reminded me (and others) of the absolute treasure that is our modern Bible. I’ve studied the history of the best-selling book of all time, I have studied the languages in which it was written, and I continue to study this Book. And I recognize that the Bible is SO MUCH more than a book! But, I have to confess there is something that bugs me. There is just something that is not quite right. I read it and see it and hear it and there are, from time to time, things that do not sit well with me. That kind of stick in my gut. That make me a little queasy. Sometimes I even search for other answers and different meanings. You see, the Bible is God’s Word. Holy. Set apart. The Bible is His revelation of Himself, His nature, His activity with humankind, it is His love letter to His creation. And I find that, the more I study it, the more I immerse in it and allow it to permeate my heart and mind, the more uncomfortable it makes me. The more I cringe. Show me a man or woman who LIKES to be called out, who ENJOYS being told how wrong he/she is, and I will show you someone who it NOT telling the truth. Deep, deep down inside NONE of us enjoy the realization that we are wrong. Many times as we rock along in this life, WE become our north-point. Our thoughts and beliefs become our standard. The Bible actually shows me a greater standard than I could ever develop. And, quite frankly, that reminds me of my own imperfection. So, I realize that the very thing that bugs me about the Bible is my heart. My life. My human will. And I guess I should be glad it makes me uncomfortable. Because it reminds me that the Holy Spirit is not done with me yet!! !